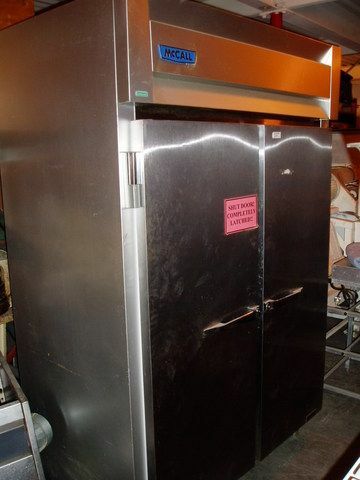 This is a used McCall 2 door refridgerator. Tired of always running to the cooler for items that are used consistently? This unit is compact enough to fit into small areas while still allowing large cases to be stored. This in turn will cut down on production time/costs. 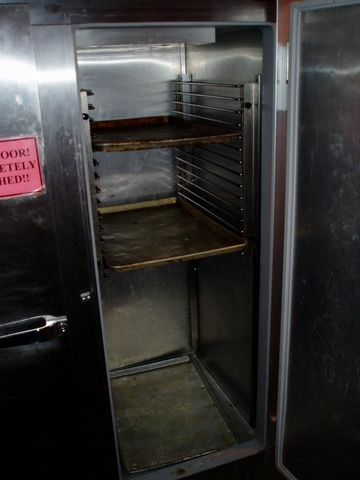 This unit also contains brackets to hold pans/product.